It all started with a message from the Hopper’s saying they had bought there tickets and were headed to Switzerland on the 26th. I jumped on board and bought my ticket for the next day. I had been working rope access all winter long. The full time shut down schedule, twelve hour days seven days a week and I was fearing for the mountains. Being locked inside the refinery was poisoning my soul and I feel the drive for adventure building inside me. I needed fresh air and wind against my face. I thirsted for the feeling of living. To feel the elements. I had grown quite comfortable in refinery. The lifestyle had made me soft. I burned for the uncertainty of day to day life. For the feeling of waking up in the morning with the unknown lingering in my mind. I needed to live now! I rolled off the train in Lauterbrunnen with my mouth wide open. I walked toward the upper end of the valley limping with jet lag, completely blown away by the massive vertical uplift that made up the Lauterbrunnen Valley. I was carrying a black duffel bag that resembled the type of bag the officials would use to carry out diciest personnel from the back country (a body bag). It was a good reminder that the path I was walking on was nothing less then serious, and many of my friends that had walked this road had ended up nestled in these black bags. I spent the next few weeks jumping with the flying bro’s, visiting several different exit points in the valley training my exit and having a blast. The Lauterburnan Valley is a jumper’s paradise. Easy access to some of the most amazing cliffs in the world make it the perfect place to party in the sky! After an excellent session in Switzerland it was off to Norway. The land of big walls. My plan was to visit Kjerag were I was going to work as an instructor and ground crew for the BASE Klubb in Lysebotn. This was an excellent experience. My brother Rio was going to meet me there. I was super excited to share some jumps with him. He is a great person to jump with. Five years ago we started skydiving together, and through this journey we have come super close. Rio was super excited to get after it. 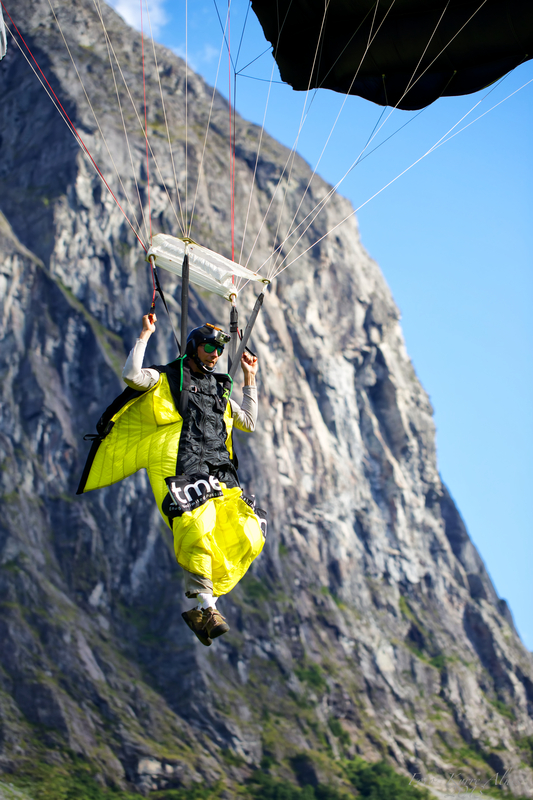 He was super eager, which in this case was good because he was eager to jump exit six the safest jump on Kjerag. He charged at the big wall with repeated attacks leaping off of the thing like there was no tomorrow. The Heliboogie went super smooth. Only one minor injury and one malfunction that the pilot was able to clear and land safely in the water. Instructing BASE is an extremely wearing job. For me its so difficult because I take on responsibility for my students. In Kjerag the students show up, we have quick class room session and then they jump out of the pendulator. Once they have showed competency in these tasks its a walk to the edge. For me being a BASE guide was killing BASE jumping for me. It turned it BASE jumping into a job and I started loosing motivation. I didn’t want this to happen, so I decided it was time to explore the mountains on my own. 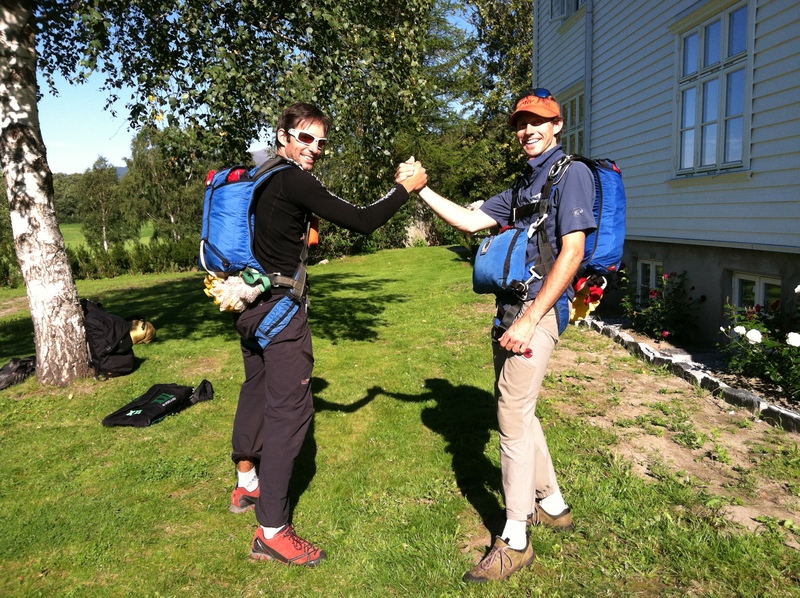 jumped into a car with the BASE bro’s and it was North to Andalsnes on a quest to become a Para-alpinist. In Andalsnes Rio and I lived in tents cooking from a stove and living in the nature everyday. It was a simple existence. Wake up, make some food, start hiking, fly from a cliff, land and pack, eat and repeat. This experience was one of the greatest months of my life. It was amazing to live the gypsy life. I was really happy and content…… and tired. The weather this season was unbelievably good. We got super lucky. Everyday was jumpable, so we continued to jump two big walls a day for the length of our stay. I love hiking, climbing, and flying. I feel like it makes me a better person and on the last day in Andalsnes I remember thinking, “Wow what a lucky person I am to be able to live this life. I honestly felt like the months I got to live in Norway made me a better person, and I felt like I was being the shining light i wanted to see in the world. My experience there had allowed me to grow into a Para-Alpinist. In the last few weeks of the trip I got to work on an extremely important project. I was lucky enough to be part of a production that is a documentary/love story about the history of BASE jumping, and Carl and Jean Banish, the founder’s of repeatable cliff jumping. It was a great experience! My hope is that this project will bring a little bit of public awareness to our activity and open up new opportunities for the expansion of human flight in the United States. Walker! I am so stoked to read some of your blog buddy. You are a true aerial dancer! i love to see what you are doing with your life, you are an inspiration to us all. 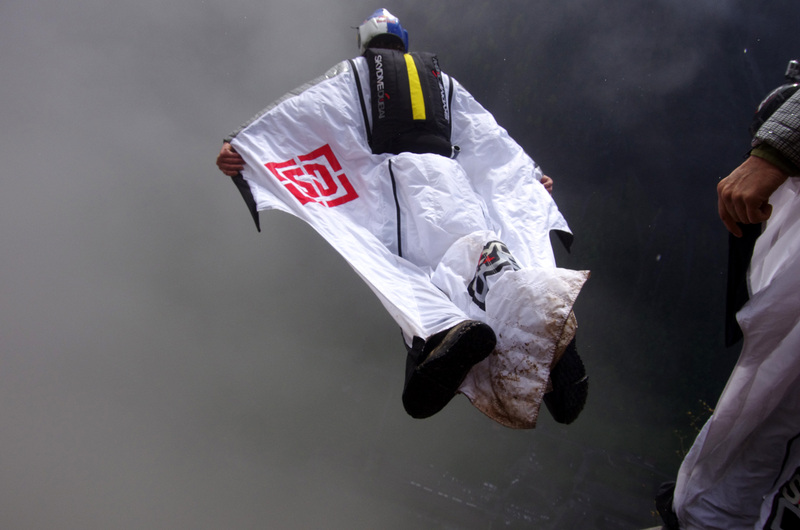 Thank you for sharing your passion for BASE jumping with us on this blog. We are putting on a production called Gypsy Caravan right now, I like your use of the term Gypsy!!! Way to go- we are both being gypsies and doing aerial dance in such different ways. I am proud of you Willie! Keep soaring!